"Hi, PlayStation Nation! First, I want to say thank you for all of the support and encouragement you have given Fallen Legion. We brought our high-speed action RPG to PlayStation Experience almost one year ago and the crowd was wonderful. The number one request we received was to bring the game to PlayStation Vita. Hearing from many passionate PS Vita fans in person and on social media fired us up to make it happen. I’m proud to say we are bringing Fallen Legion to PlayStation Vita and the portable version is more than a port. 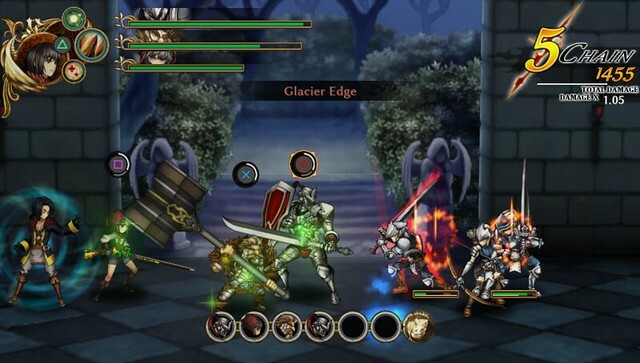 Fallen Legion for PlayStation Vita is its own unique adventure with an entirely different story. On PlayStation 4, you guide Princess Cecille, who has reluctantly become the emperor of a dying kingdom. While Cecille is on a quest to restore glory to the crumbling Empire of Fenumia, the Legate is planning a coup d’état to claim the throne. PS Vita players will see the events in Fallen Legion from the perspective of the Legate, a charming and cunning tactician, as he battles to oust the monarchy and roots out traitors among his army. 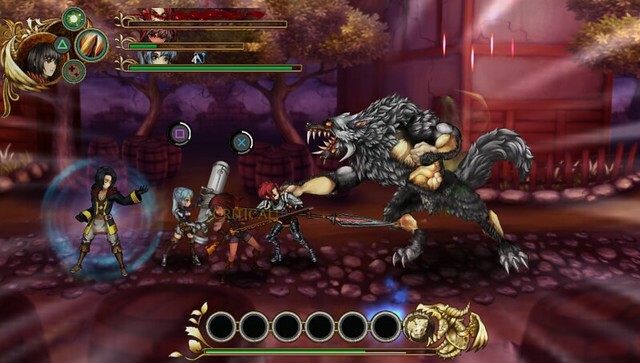 You’ll face different ferocious bosses on Vita including the bloodthirsty Werewolf. Both twisted stories are the brainchild of Ben Bateman, localization editor on Zero Escape: Virtue’s Last Reward. Between crushing enemy armies you make decisions that determine the fate of Fenumia. Sending troops to defend a village from a barbarian onslaught may give you an attack boost, but choosing to snub their request could grant you double HP for an entire level. Think fast because your choices permanently impact the world and you only have 10 seconds to decide! Also, when we say “defend a village” — we mean it. Choosing defend brings players straight to the front lines and you have one chance to defeat the barbarian invaders. Win and the town is saved, but if you lose the barbarians take over. Forever. Instead of rushing to battle you could handle the situation tactfully by cutting a shady deal to give the town to the barbarians in exchange for an item. This is just one of the many choices you will make as an emperor in Fallen Legion. For those of you planning to attend PlayStation Experience this week, we will be there with a new playable demo of Fallen Legion on PS4 and, for the first time ever, the PS Vita version! Xanthe Huynh, the voice actress for Princess Cecille and many other beloved RPGs, will stop by the Fallen Legion booth on December 3 for a meet-and-greet with fans. We hope to see you there! I want to say thanks again for all of the feedback. We take every chat or Tweet to heart, and there is one more announcement I’m psyched to make — in addition to being released on the PlayStation Store, Fallen Legion will also have a physical print of the PS4 and PS Vita versions thanks to our friends at Limited Run Games!" We’ll have more to talk about leading up to Fallen Legion’s launch in the first half of 2017.